Pocket Twos - Casino Answers! Pocket deuces, or ducks, in poker parlance, are the weakest of the pocket pairs. While high pocket pairs are good starting hands, low and medium pocket pairs require some finesse to play properly. Very small pairs are particularly difficult, since they always flop bottom pair. That said, the allure of flopping a set is hard to pass up. This article will cover the best way to play pocket twos. The strength of these hands, however, lies in their ability to flop the disguised monster: a set, which easily improves to a full house if the board pairs. For this reason, you should play these hands in certain profitable situations. The first situation is when you are first in the pot. In this case, you can typically enter the pot for a raise. Since you will often take down the pot uncontested with a bet on the flop, this is a semi-bluff raise aimed at stealing the blinds. You can also play pairs if someone has raised before you and you are both deep-stacked. 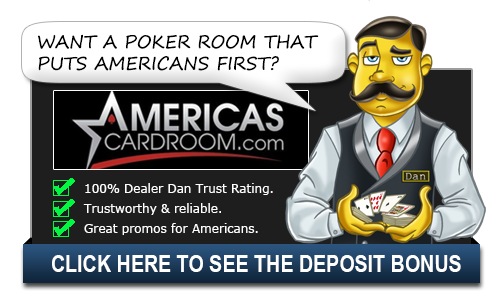 If you have more than twenty-five times the size of his raise, for example, he raises to $3 and you both have $75 or more, you can call with pocket deuces for the chance to flop a set. Sets have good implied odds against opponents who will put their stack in the middle with overpairs, top two pair, and strong draws like a flush draw. You can play small pairs when you are very short-stacked as well. If you have under 10 big blinds, you can’t go wrong putting your money in with small pocket pairs, especially if you are raising all in, not calling. If you don’t plan on going all-in with them, you are better off folding when you are low on chips as the odds aren’t in your favor otherwise. You can play small pairs when you are playing heads-up poker. In this case, you only have to beat one opponent, and a lone pair is a favorite to do that. In any of these situations, your goal is to flop a set and extract the most money from your opponent that you can. If he is an aggressive player, your set is often strong enough that you can slowplay it. If he is a calling station or a suspicious player, three large bets can trap a top pair type hand. Even against strong regulars, you will often stack your opponent if he flops a strong, but still second-best, hand. What are the odds of getting pocket twos? The odds of getting dealt a pocket pair in poker are 16-to-1, but the odds for a specific pairs (twos, aces, kings) is 220-to-1. That’s pretty long odds so knowing how to play the pocket twos is very important in poker. The odds of then flopping a set with pocket twos is 7-to-1. So, there is definitely value in sticking in the hand with these as long as the pot and your position make it worth your while.